Parents and caregivers often ask if there is a manual for raising children. 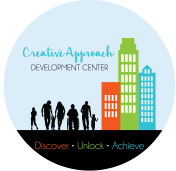 Creative Approach Development Center says yes! We have designed workshops to help caregivers navigate some of the challenges involved with parenting. Our workshops are 60-minutes long and include valuable information from leaders in the field, takeaways to help participants get started and maintain new strategies and are FREE!